Born in Virginia circa 1770, Ellis Fowler was the second son of Henry Ellis and Catherine Puckett Fowler. He married Mary, born in Virginia circa 1780. It is speculation on my part that he moved into Union County, SC with his father in the 1780’s prior to his marriage to Mary. Ellis Fowler was enumerated in the 1800 Union County census, along with his young wife, two sons and two daughters all under the age of ten. It is perhaps safe to say that he and Mary married after 1790 and began their family soon afterward. The census taker evidently missed the Ellis Fowler family in 1810, as my lengthy searches have uncovered no records so far. It is a regrettable omission; the decade between 1800 and 1810 may have revealed a better understanding of the number of children born to Mary and Ellis. The 1820 Union County census confirmed that there had been an abundance of births during the missing decade in the Ellis Fowler household. There were no less than fifteen persons counted in the home that year. Mary’s advanced age of 40 leads me to believe that not all of the eight children under the age of ten were born to her and Ellis. There were two females, aged 16 – 25, who perhaps had given birth to some of the younger children. Some of these children under the age of ten, in my opinion, were the grandchildren of Ellis and Mary. Of special note…..one of the males under age ten was Ellis Fowler born 1810, son of Ellis and Mary. He was sometimes referred to as Ellis Fowler, Jr. in legal documents. The Ellis Fowler household was considerably smaller in 1830. There were only five persons counted in the census record that year. Sixty year old Ellis shared the home with four teens – two females and two males. Conspicuously missing from the home was Mary Fowler, wife of Ellis. Ellis Fowler, Jr. had married and moved out of his father’s household. In 1830, Ellis Fowler, Jr. was head of his own household which included a young wife, two children under the age of five, and a woman aged 40 to 49. I have no doubt that the older woman was Mary Fowler who had temporarily moved in with her son and daughter in law to help out with her very young grandchildren. Mary Fowler had returned to the household of her husband Ellis Fowler by 1840. There were seven persons in the home including a male under the age of five. It is difficult to determine the identities of the occupants whom I believe to be both children and grandchildren of Ellis and Mary. The Union County census of 1850 firmly established that Ellis and Mary were an eldery couple, Ellis at eighty years of age, and Mary, seventy. Their daughter Winnifred Worthy, widow of James Worthy, lived in the home of her parents with her children Mary, Julia, and James Worthy. There was also eleven year old William Worthy in the household, maybe a son of Winnifred, but possibly the son of Winnifred’s sister Fanny who had married William Worthy. Ellis Fowler had been given a tract of land on which he lived when his father Henry Ellis Fowler’s will was probated in 1808. I believe this land was part of the land granted to Henry Ellis Fowler in the Kelly-Pinckney area of Union County. It is probable that Ellis Fowler had moved near the Pacolet River by 1850. Most of his offspring that I have been able to trace settled near Pacolet, SC and between Jonesville and Gaffney in Cherokee County, SC. Ellis Fowler and wife Mary were deemed paupers in the 1850 census. Unlike his older brother Ephraim Fowler who owned numerous tracts of land and is well documented in court house records, there is very little to find regarding Ellis. The records are almost nonexistent. The 1850 census record was the last time Ellis Fowler was documented. His advanced age of eighty in 1850 and his absence in the 1860 census lead me to say with certainty that Ellis died between the years 1850 to 1860. Where he may be laid to rest, I do not know. While it is unfortunate that Ellis Fowler is often overlooked by amateur genealogists, he was clearly mentioned in his father’s will of 1808…………. 1800 Union County, SC Census: Ellis was listed in the age bracket of 26-44. If the estimated date of his birth of 1770 is correct, this would put him at 30 years of age in 1800. His wife Mary is listed as 16 to 25, also supporting her birth year of 1780. Ellis and Mary had 2 sons and 2 daughters under the age of 10. 1820 Union County, SC Census: Although missing from 1810 census records, Ellis and wife Mary appeared again in 1820 with a greatly enlarged household, which probably included more of their own children as well as grandchildren. 1830 Union County, SC Census: I believe that Ellis would have been in the 50-59 age bracket in 1830. His wife Mary was missing from the household, and may have been living with her son Ellis, Jr. helping him with the two children under the age of 5 in his household. 1840 Union County, SC Census: Ellis and wife Mary were now living with a greatly reduced household of only 3 males. The two older males may have been sons, but the male under 5 would have probably been a grandson. Note that Ellis was recorded as Ellis Fowler, Sr.
1850 Union County, SC Census: Ellis and wife Mary were living with their daughter Winnifred Fowler Worthy and her children. Winnifred was the widow of James Worthy. The William Worthy in this record may not have been the son of Winnifred. As noted near the beginning of this article, Ellis and Mary did not leave wills, nor can I find any estate settlement for them. They were listed as “paupers” on the 1850 census, and perhaps had little to leave their offspring. “I also give and bequeath unto my three daughters Salley, Suky, and Vina one bed and furniture each.” Last Will and Testament of John Fowler, dated 18 February 1817. Three daughters. Salley. Suky. Vina. Who were they? What path did they follow? Did they survive childhood, get married, have children of their own? Were they happy? “Salley” was often a nickname for Sarah; “Suky” was sometimes short for Susannah; and “Vina” for Lavina or Lavinia. Ten years. I searched for these three daughters of John Fowler and Fannie for ten years. I only knew of their existence from the one line in which they were mentioned in their father’s will. No birth, marriage, or death records existed in South Carolina during the lifetimes of these three daughters. I had little to help me with my research. Then fate intervened; a very fortunate message from a Fowler descendant led to a meeting and the discovery of a valuable hint. There was a LAVINA Fowler who had been born in Union County, SC in the early 1800s who had married Augustus Wiggins. The names and dates fit. So did the location. Augustus “Gus”Wiggins (1805-1857) was the son of Richard Wiggins of Cleveland County, North Carolina. While there is no evidence that the elder Wiggins lived in Union County, SC, there were Wiggins families in the county in the 1800s. Abraham Wiggins (b. 1808) lived in Union County in 1850 and 1860; Nancy Wiggins, Lazarus Wiggins, and Antoine Wiggins were counted in the 1860 Union County census. Augustus Wiggins, probable brother of Abraham Wiggins, lived in Union County in the first decades of the 1800s, as he met and married Lavina Fowler before 1822; their first son, William Wiggins, was born to Augustus and Lavina in Union County in 1822. The absence of the Augustus Wiggins family in census records for the years 1820 through 1840 prevents us from knowing the exact year that the family moved to Cleveland County, North Carolina. Information from census records and death certificates indicates that most of their children were born in North Carolina. The family was recorded in the 1850 Cleveland County, NC census in 1850. 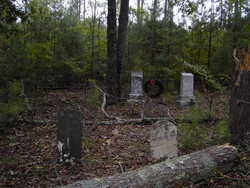 Augustus Wiggins died in 1857 in Cleveland County and was laid to rest in the family graveyard in Polkville, North Carolina. In the 1860 census for Cleveland County, we find Lavina Fowler Wiggins living with her adult children Richard, Sarah, Francis, and Asbury. Daughter Melissa Wiggins Ramsey and family lived next door; son William Wiggins and family were also living adjacent to these households. Lavina Fowler Wiggins was counted in the 1870 Cleveland County NC census living with daughter Sarah Wiggins Bridges and her family. Son Asbury Wiggins and his family were living next door. Lavina Fowler Wiggins died June 20, 1877 and was buried in the family graveyard. When I first saw the name “Purchase” in the household of Ellis Fowler and his wife Sarah Clark Fowler, I thought the task of documenting her life would be an easy one. It was not a totally uncommon female name used in the 1800s, but it was an unusual name in the Union County Fowler families. As I have stated before, Ellis Fowler b. 1770 has been the most difficult son of Henry Ellis Fowler to document. He left no will nor can I find any land transactions or deeds in the courthouse. Some Fowler researchers confuse Nancy P. Fowler and Purchase Fowler, thinking that they were the same daughter of Ellis and Sarah Fowler. Since both daughters were recorded on census records together, I am not sure how this confusion began. They are clearly two different children. It was fairly easy to discover that Elizabeth Augilar Fowler had married Robert Henry Petty, and her sister Nancy P. Fowler had married John Worthy Eison. I have been able to trace both daughters and their descendants to present day. The remaining children of Ellis Fowler and Sarah Clark seemed to have disappeared into thin air. I was more than a little surprised that I was unable to find daughters Purchase and Lotty given that these names were a little unusual. Purchase Fowler was first recorded on a census record in 1860 as an unnamed female infant, 3 months old. Included in the household along with her parents Ellis and Sarah Fowler were sisters Elizabeth, Martha, Julia, Nancy, and brother Thomas. In 1870, Purchase was in the household with parents Ellis and Sarah Fowler, sisters Julia, Nancy, and Lotty . In 1880, Purchase was 20 years old, and lived with her parents Ellis and Sarah Fowler, sisters Nancy and Lottie. three young Jefferies children who were the children of either Martha or Julia Fowler, and her aunt Nancy Fowler, sister of Ellis. I had found a census record from 1900 in Pacolet SC listing a single woman, aged 40 with 4 children: daughter Nellie, sons Steady, Grover, and Freddie. It was difficult to read the name of the woman, but the record got my attention because of the name Steady. The Union County Fowler families had a history of naming their sons Steadman. This tradition began after the Civil War when Godfrey Butler Fowler (1837-1906), son of Joseph Fowler, son of Godfrey Fowler, son of Henry Ellis Fowler) named his only son Nathan Steadman Fowler (1867-1924) after the captain of his army company in the Civil War, Captain James B. Steedman. Steadman Lee Fowler 1884-1971, son of Emma Fowler, daughter of Bryant Fowler, son of Stephen Fowler, son of Ephraim Fowler, son of Henry Ellis Fowler. James Steadman Fowler 1872-1952, son of Gassaway Fowler, son of Thomas Gillman Fowler, son of Godfrey Fowler, son of Henry Ellis Fowler. I wondered — who was this Steady Fowler born in 1882? How did he relate to the Henry Ellis Fowlers, if at all? And who was his mother with the hard to read name? Could she possibly be my Purchase? A little research and a lot of luck led me to a census record in Spartanburg SC in 1910. There was a woman named Sarah, aged 50 — right age for my Purchase — who was living with sons Grover and Fred. This family headed by Sarah Fowler lived next door to Steddy Fowler, his wife Nancy, and their three children Beulah, Buford, and Cecil. They lived on Howard Street in Spartanburg. I knew that I was on the right trail. I began to think that Sarah was perhaps Purchase……..Sarah Purchase Fowler…….maybe. I also noted that, in 1910, there was a John A. Johns, widower, living 6 households away, on Howard Street, with two of his daughters, and two granddaughters. I could not find Purchase Fowler, or Sarah Fowler in 1920 census records, but I did find Sarah Johns in the household of Steady Fowler, his wife Nannie Fowler, and their children Beulah, Buford, Cecil, L.C, Ruth Gladys, and Warren. Was it possible that Sarah Purchase Fowler had married her widower neighbor John Johns?? Although Sarah Johns was listed as the mother-in-law, I decided to take a closer look at the Johns family. John Andrew Johns (1848-1926) was the son of Joseph Johns and Elizabeth Haney. He was born in Union County, SC, as was Purchase. It is possible that they knew each other long before they had both moved to Spartanburg, SC. John Johns married Laura Cain (last name not yet documented) circa 1870, and they were the parents of many children, mostly daughters. Laura died in 1905 and was buried at Beulah Cemetery near Neal Shoals in Union County, SC. Sarah Purchase Fowler married John Andrew Johns circa 1910/1911. By the year 1920, they were either divorced or separated. Sarah Purchase Fowler lived with her son Steady Fowler on Arch Street in Spartanburg in 1920, and she was recorded as being a widow even though John Johns was still alive and well living with his daughter Leona on nearby Howard Street. John A. Johns died in 1926, and was laid to rest beside his first wife Laura at Beulah Cemetery in Union County. Sarah Purchase Fowler is missing from the census records of 1930. Her son Fred Fowler and his family lived on Louise Street in Charlotte NC. Sometime after the 1930 census was recorded, Sarah Purchase Fowler moved to Charlotte to be near her son. Through city directory records, I have been able to locate and visit the street they lived on in Charlotte. The houses were very small, and mostly built in the 1920s. Many of these houses remain, but the addresses on record for Fred Fowler and Sarah Fowler no longer exist. The homes they occupied have been torn down and replaced with a large industrial complex. I found a death certificate for Sarah P. Fowler. She died August 28, 1933. F.M. Fowler was the informant (her son, Fred Mark Fowler). Now that I had a date of death, I began looking for a grave site. The information of the death certificate indicated that she was buried in Pacolet, SC. I searched for Sarah Purchase Fowler, Sarah Fowler, Purchase Fowler, Sarah P. Fowler, Sarah Purchase Johns, Sarah Fowler Johns, Purchase Fowler Johns…..you get the idea. No luck. I looked in my records for the grave of her sister, Elizabeth A. Fowler Petty. Pacolet Methodist Church. A quick internet search led me to Sarah P. Fowler JONES. Right dates of birth and death…..wrong last name. Could this be the grave of Sarah Purchase? Two hours of driving, I arrived at the cemetery. I located the grave of Sarah Purchase Fowler Johns. Johns was spelled “Johns” and not “Jones”. Correct dates of birth and death…… last name too. Her grave was next to some of the children of her sister Elizabeth Fowler Petty. I felt like my journey into the life of Sarah Purchase Fowler had come full circle. Sarah Purchase was born in Union County, SC to Ellis and Sarah Clark Fowler; moved to nearby Pacolet and raised four children; married a widowed neighbor and hopefully had a few years filled with happiness; moved to Charlotte, NC with her son; died in Charlotte; and laid to rest in Pacolet, SC near some of her immediate family. Sarah Purchase Fowler had also come full circle. I placed flowers on her grave and hoped that she somehow knew that she was still remembered. I was not able to find much information regarding Nellie Fowler. I did locate her in a Spartanburg City Directory living with her brother Steady Fowler in 1905. She was unmarried at that time. Last year, I visited Oakwood Cemetery in Spartanburg. I was looking, of course, for Fowler graves and planned to take photographs of all that I could find. One headstone caught my eye, that of Stedia W. Fowler (1882-1930) and his wife Nannie Fowler (1883-1944). The name Stedia was so close to Steadman, I figured that he had to have been one of my Fowlers. I took a photos of the headstone and filed this newly found information in my mind. It all came together when I discovered that Sarah Purchase Fowler had given birth to son Steady around the same time as the departed soul lying in that grave at Oakwood was born. Steadman Fowler died as the result of an automobile collision with a train in 1930. This was the son of Sarah Purchase Fowler. More research shed light on Steady’s family. He was married to Nannie Phillips, daughter of George Marion Phillips 1843-1920 and Annie Fowler 1848-1936. Annie Fowler was the daughter of Daniel Fowler and Cansandra Cook. Daniel Fowler was the son of Israel Fowler II and wife Polly. Israel Fowler II was the son of Israel Fowler I and wife Fannie. Israel Fowler I was the son of John Fowler b. 1720 and Phoebe. The Israel Fowler line moved into Union County, SC around the same time as the Henry Ellis Fowler line…..late 1700s. DNA testing has proven that these two Fowler lines did not share a common male ancestor, hence two totally different Fowler families. However, the two Fowler lines did live near each other, witnessed documents for each other, and married into each other’s families. Stedia W. Fowler is a direct descendant of Henry Ellis Fowler. Nannie Phillips is a direct descendant of Israel Fowler. The offspring of Stedia W. Fowler and Nannie Phillips were the perfect storm of the two Fowler lines combining!! The family from whom Cansandra Cook descends is a family that I have spent much time researching. I descend from this line through my paternal Fowler grandfather and my paternal Mabry grandmother. This Cook family intermarried in so many ways with the Fowler families. Cansandra Cook’s first known ancestors were John Cook 1707-before 1772 and his wife Sarah Fulton 1715-1783. John and Sarah immigrated from Ireland to Pennsylvania. After John’s death, Sarah and her children move to Union County, SC and settled on the Pacolet River near Grindal Shoals. This intermarriage connects me to the offspring of Stedia Fowler and Nannie Phillips three ways: once from Ellis Fowler, and twice from the Cooks. John Grover Fowler married Pearl Thomas, daughter of A.J. Thomas and Nancey Jane Cox. They had no children. John Grover Fowler and wife Pearl lived in Spartanburg and Darlington, South Carolina, and eventually moved to Charlotte, North Carolina. He worked as a chain gang prison guard, and worked in textiles. Margaret Clippard 1909-1975 was the daughter of Scott and Josie Fronniem Clippard. The sister that she and John Grover Fowler visited was Lila Mae Clippard 1907-1980 married to Lester Eugene Gantt 1905-1975. An interesting fact is that Lester Eugene and Lila Mae Clippard Gantt were buried at Corinth Baptist Church in Gaffney, SC where many of the Israel Fowler descendants were buried. John Grover Fowler evidently married Margaret Clippard as she was listed as his wife on his death certificate. John Grover Fowler was buried beside his first wife Pearl Thomas at Sharon Memorial Park in Charlotte. After John Grover’s death, Margaret married Charles Fisher. Fred Mark Fowler was born on September 12, 1895 in Union County, SC. He was to be the last child born to Sarah Purchase Fowler. The name “Mark” was a name often used in this family. Our Fowler family’s first known Mark Fowler was a son of John Fowler the First, our immigrant ancestor from England who died in Virginia in 1683. Fred Mark Fowler was four years old when the census was taken in 1900. He lived with his mother and three siblings in Pacolet, SC. Fast forward to 1910….. fourteen-year-old Fred Mark and his family had moved to nearby Spartanburg. On June 5, 1917, Fred Mark Fowler signed a World War I Draft Registration card. From the information obtained on this record, he was a single, tall, slender young man, seventeen years of age, grey eyes and light-colored hair. His address was 914 N. Davidson Street in Charlotte, NC. Fred Mark Fowler did not remain single for very long, for he soon married Bessie Norris. She was born in North Carolina in 1901, but her family had moved to Spartanburg SC before 1910, and it is likely the place Fred Mark and Bessie met. Phyllis Ann Fowler b. 1933– m. William Edward Crump, Jr.
Fred Mark Fowler died on March 22, 1956 in the Veteran’s Administration Hospital; in Durham NC. He was buried at Sharon Memorial Park in Charlotte. Bessie Fowler died in 1990 and was laid to rest beside her beloved husband. If there is one name that defines my Fowler line — it is this: GODFREY. Never mind that the first known ancestor in our Fowler family is John Fowler the First who immigrated from England to Virginia in the 17th century. Never mind that there were enough John, Mark, Thomas, William, and Ellis Fowlers to populate any well rounded and well researched Fowler family tree. The name Godfrey goes back to a son of John the First, and perhaps beyond. It has persisted through the generations to present day. It is the defining name of our Fowlers. I remember as a child, sitting beside my Fowler grandmother while she talked about relatives long laid to rest in their eternal sleep. I was too young to care much and too many years have passed to remember the treasured memories that she shared with me. But I do remember the sort of shock I felt when she began to talk about Uncle Godfrey. I had never heard that name — Godfrey — and it almost felt sacrilegious. Sadly, my fascination with the name is the only thing I remember; I do not remember what she said about Uncle Godfrey, and I do not know how he was connected to my family. But I never forgot the name. Fast forward many years later, and many Godfrey Fowlers inundate my research. I no longer have irreverential feelings about the name. Godfrey. The name defines my line. Godfrey had a son named John?? Were there two different sisters………Kiziah and Elizabeth or were they the same woman?